This is the story of the author’s military service spent flying aerial bombing combat missions over Europe in the 8th USAAF, stationed in England. 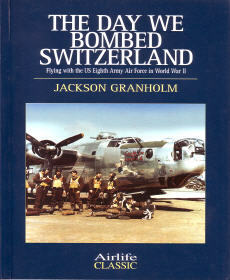 This book describes operational events and the horrors of massive daylight bombing raids over Germany and its occupied territories, covering the period from D-Day to the end of World War II in Europe. 246 pgs w/index, SB, 6.25 x 9.25, b&w photographs.